We provide unique range of these leather stationary to our clients. 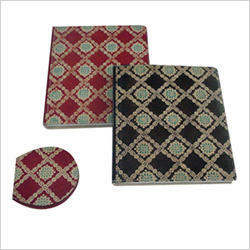 Available in variety of colors, these products can be customized as per customer's exact requirement. 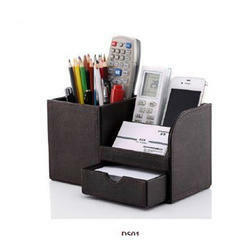 Size: 8.5 x 3.5 "
We are the Manufacturer and supplier of a wide range of Leather Hotel Product and Stationary. Items which are manufactured using optimum quality raw material to ensure excellent product performance. Our range of stationary products finds extensive application in various industries. A custom made product to suit the persons style. We sell stationeries required in bulk for offices & educational institutions fulfilling the needs of office automation. Over years of innovation and technological development have given our company a leadership position in various industrial markets and stationery industry is one of them. Union Chains Jewelers Pvt. Ltd.